Description: These are true photographic prints on professional grade Lustre, Matte and Pearl finishes using Fuji Crystal Archive digital paper. Every enlarger has been professionally color managed using ICC paper profiles generated from all of our enlargers for every paper type maximizing color accuracy and balance. Lustre: Fujicolor’s Crystal Archive Digital Lustre Paper Type PD is Fuji’s highest grade paper that offers color reproduction resulting in accurate and vibrant colors with a “true-to-life” look. Optimized silver halide crystals deliver excellent portrait prints offering superb color image stability that makes it Fuji’s longest lasting paper. It also has excellent skin tone reproduction that captures the diversity of skin tones faithfully, and its ideal gradation balance delivers neutrals and deep blacks with unbiased grays over the entire density range. Matte: Designed for such use as exhibition, advertising and other commercial photo applications Fuji Crystal Archive Professional Matte Paper delivers rich tonal gradation, vivid color reproduction and lasting print permanence. This paper also has High D-Max for deep, rich blacks with slightly reduced color saturation level and crisp text. Matte has a smoother pebble surface than Lustre paper has resulting in a surface texture closer to true fiber paper, making it a good choice for black and white images. Pearl: Fuji’s Crystal Archive Digital Pearl Paper marks a new era in the printing of high quality glossy digital images. Pearl-like crystals give silver halide color prints a specific Lustre, creating a distinctive metallic appearance, sure to capture a viewer’s attention! Pearl paper was designed to meet the growing demands for commercial prints and enables photographers to expand their customer print options. Wedding, nature, and portrait photographers will love this paper’s ability to reproduce flesh tones accurately while still looking bold and distinctive. This paper has a thicker base than the other three paper types with a very distinctive look in the lighter areas of an image. Fine art prints: All of my prints I sell come unmated and unframed. It is often preferable for you to have the prints mounted locally to your specifications. Ordering and payment: E-mail me to order prints or just to ask questions. Prices include standard shipping within the USA and sales tax, too. Price and size list: Print size: 14″ x 18″ Frame size: 20″ x 24″ Price: $250.00 US dollars. Ordering and payment: E-mail me to order your Limited Edition Photograph. $25.00 dollars for shipping within the USA and sales tax are included. Price and size list: Print size: 8″ x 10″ Frame size: 11″ x 14″ Price: $70.00 US dollars. Ordering and payment: E-mail me to order framed prints or just to ask questions. $15.00 dollars for shipping within the USA and sales tax are included. Ordering and payment: E-mail me to order matted prints or just to ask questions. Prices include standard shipping within the USA and sales tax, too. Price and size list: 5″ x 7″ greeting cards Price: $5.00 US dollars. Photo Book information: This 12″x12″ photo book is printed on thick archival paper with a custom photo cover. This book has a total of 48 pg. of the 21 California missions. 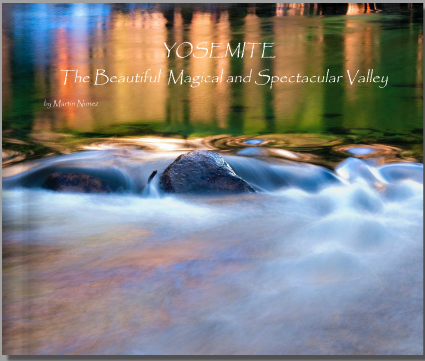 Price and size list: 12″x12″ Photo Book Price: $ US dollars. 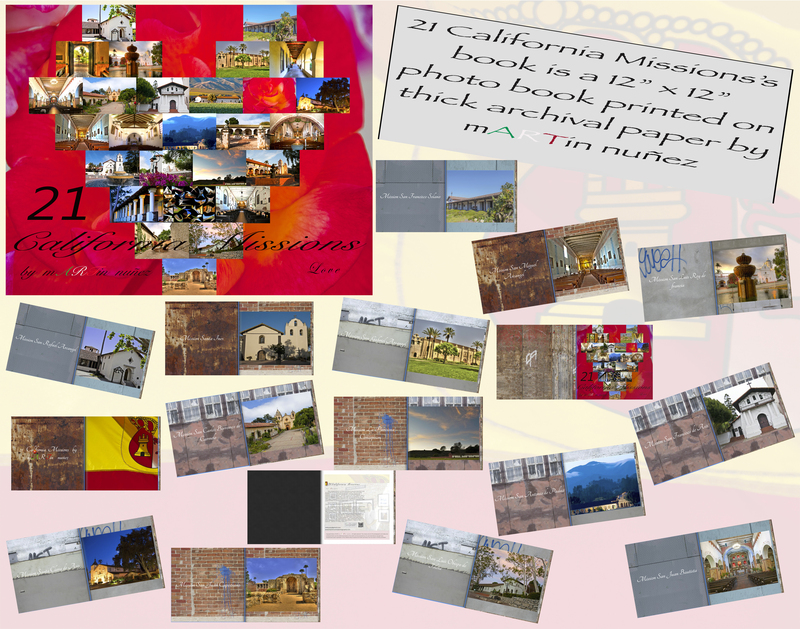 Ordering and payment: E-mail me to order your 12″x12″ 21 California Mission’s Photo Book or just to ask questions. $10.00 dollars for shipping within the USA and sales tax are included. Description: My hourly rate is $100.00 You are welcome to keep your original and high quality jpeg files for the sum of $200.00 extra. Ordering and payment: E-mail me to ask any questions.